One of the greatest mysteries is the origin of the human mind. Why are humans so different from other animals? Why do we have languages, religions, complex political and economic systems, and advanced technologies such as airplanes and rockets, while other species for the most part don’t have any of these things? Evolutionary biologists and paleoanthropologists are busy finding the answer to this question. 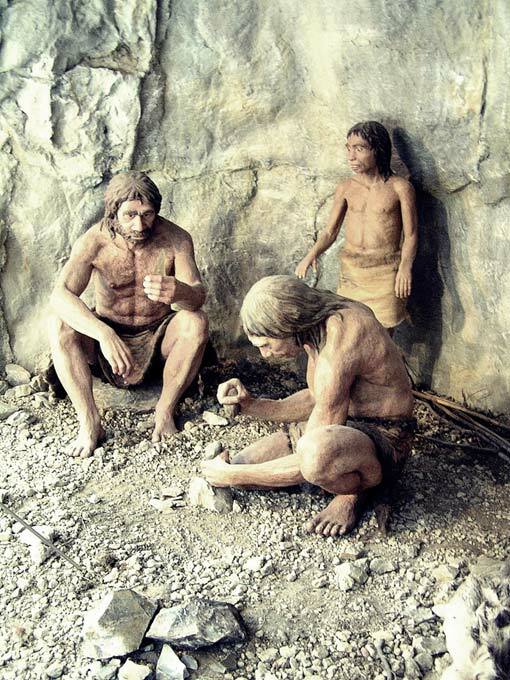 One very interesting recent finding is the role that self-domestication may have played in the evolution of human cognition and particularly the evolution of human language. 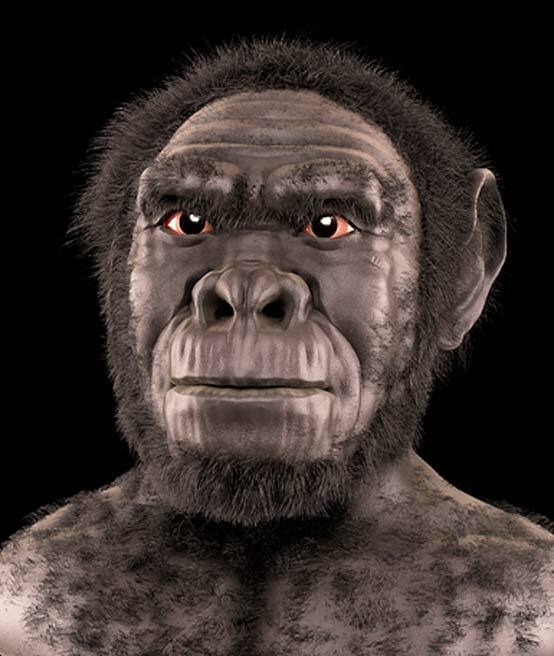 Scientists studying other species have noticed that anatomically modern humans differ from earlier pre-modern hominins in ways like domesticated animals differ from their wild ancestors. Domestication involves making animals less aggressive and more docile so that they can be more easily controlled by humans. This process results in traits such as smaller body size, reduced sexual dimorphism, and retention of juvenile features. They also tend to become less robust, with shorter faces and smaller teeth. One of the reasons for this is that more mature features in wild animals and larger body size tend to help them in aggressive activities such as competing for a mate or defending territory. Additionally, sexual dimorphism in many mammals, birds, and reptiles, at least, tends to occur because of greater competition between males. If a species becomes more docile and cooperative these traits no longer have a selective advantage. This morphological trend is seen clearly in many domesticated species. Dogs tend to be smaller and retain more juvenile features, such as floppy ears, into adulthood than wolves. Also, domestic bulls have slightly smaller bodies than their wild ancestors, the aurochs. Males and females of domestic cattle species are also closer to being the same size than they were in aurochs. Both dogs and domestic cattle are also generally less aggressive than their wild ancestors. This is the same pattern that scientists see when they look at pre-human ancestors. Hominins such as Homo Habilis and Homo Erectus are more robust (larger, thicker bones), have larger teeth, and faces that protrude more than in modern Homo Sapiens . They also exhibit more sexual dimorphism. Traits such as anatomical juvenilization and reduced sexual dimorphism occur in domestic species because they are associated with a reduction in aggression - but why would they be associated with anatomical modernity in humans? One explanation is that over the course of human evolution, humans became less aggressive and more cooperative due to some sort of selective pressure for more cooperation. 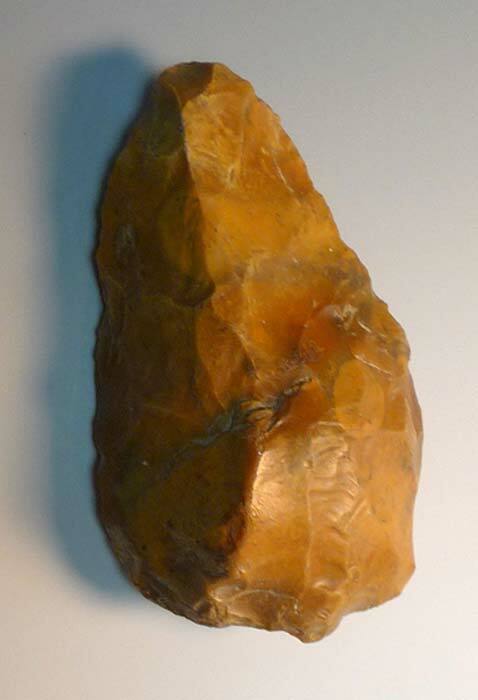 This caused humans to begin to differ both behaviorally and cognitively from other hominins. 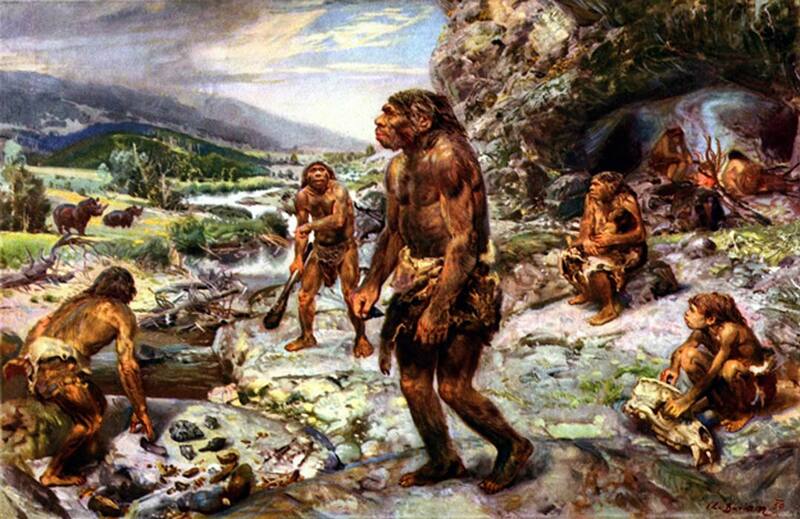 In this way, humans may have become self-domesticated. Another possible example of self-domestication is that of the bonobo. Bonobos, like humans, have retained juvenile features into adulthood such as shorter faces and rounder craniums than common chimpanzees, the other species of chimpanzee that lives north of Congo River which separates the two chimp populations. Bonobos are also in general less aggressive and more cooperative and collaborative in acquiring food and females. One hypothesis for the behavioral differences between bonobos and common chimpanzees is that common chimpanzees share their habitat with Gorillas. Because of this, chimpanzees need to compete for less territory - leading them to be more aggressive. Increased aggression over territory has also led to increased aggression when it comes to seeking mates. It seems that since common chimpanzees are already competing violently over territory, they naturally use the same method to control access to females. Bonobos south of the Congo River do not share their territory with other ape species and thus do not have to be in as close of quarters. This results in less need for aggression and more room for cooperation in finding food and acquiring females. The Feet and Hands of Homo Naledi were Similar to those of Modern Humans – Could this be the Evolutionary Link Paleontologists Were Waiting for? The question the reader might be asking right now is how this increased cooperation, if it occurred in humans, would have resulted in the vast cognitive differences between humans and other great apes. Scientists studying human evolution have found that there are at least two ways in which this process of self-domestication and increased cooperation could explain the extraordinary cognitive abilities of modern humans. The first one is language. In environments where there is a lot of competition either within a species or between species for access to resources such as food or mates, there is a selective pressure for certain uses of sound and not others. As a result, the use of sound is very limited and is only used for purposes where there is a selective advantage for using sound, such as defending territory, finding a mate, or to express an emotion. Sounds are all very specific and stereotyped for these purposes so that they are not at all ambiguous and all animals immediately recognize them and can differentiate them from other messages. Increased cooperation however means that selective pressure for the use of certain sounds relaxes and sounds can take on a greater variety uses. This allows for sounds to be used more creatively and exchange more kinds of information than orders (stay away) and individual desires (I want this food or that mate) or emotions (I’m scared). Sound can be used for cooperative purposes such as to help a hunting group find escaping prey or to indicate to the group that an older individual is about to teach them something, such as how to make a tool. Korah-Khoikhoi dismantling their huts, preparing to move to new pastures. Aquatint by Samuel Daniell. 1805. ( Public Domain ) The Khoikhoi practiced pastoralism for thousands of years. This capacity for sound to be used for many different types of information, such a communicating to the group something that will help them in their common goal, it becomes possible for language as we understand it to evolve. This is not to say that common chimpanzees are incapable of learning language as great ape sign language shows, but it does show why common chimpanzees had not previously come up with it on their own without the aid of the more cooperative Homo Sapiens . Another area in which greater cooperation could have led to greater cognition is of course the area of tool-making. Cooperation alone would not necessarily lead to the development of the technical skills needed to make tools, such as spatial reasoning and the ability to form blue prints in one’s mind of what he wants the end-product to be, but it is necessary. Technical skills need to be taught and passed on to the next generation and this would be easier in a species that is able to cooperate. Otherwise tool-making traditions might be lost simply because transmission is poor due to a lack of communication between individuals and groups. The cause of the emergence of the modern mind is multi-faceted and probably cannot be narrowed down to one event or process. It probably arose due to a combination of factors that aligned at the right point in time to lead to human cognition. 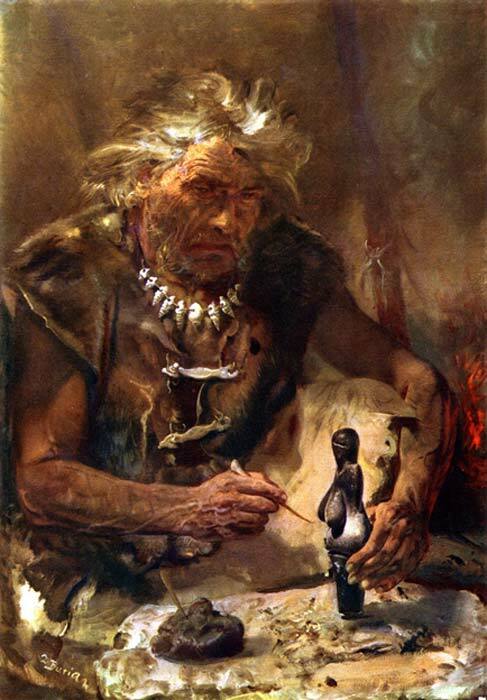 At least one of these factors, however, appears to be that the first animal that man domesticated was man himself. Humans over time became more cooperative allowing them to collaborate better in hunting, inventing tools, and eventually developing language to pass on cultural traditions. Heyes, Cecilia. "New thinking: the evolution of human cognition." (2012): 2091-2096. MacLean, Evan L. "Unraveling the evolution of uniquely human cognition." Proceedings of the National Academy of Sciences 113.23 (2016): 6348-6354.